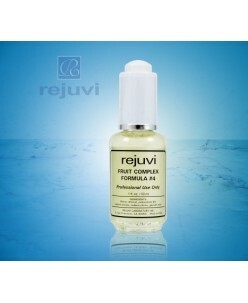 Fast penetrating gel, ideal for oily and acne skin. 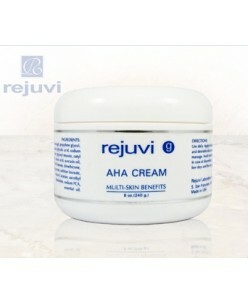 AHA serum exfoliates dead skin cells, sebum and grime whilst refining skin tissue. Lines and wrinkles are reduced and age spots are diminished within just a few days of using this. 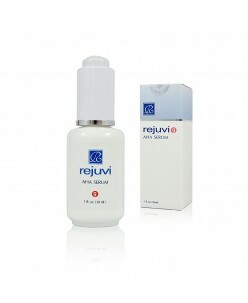 Anti-irritant and liposomes are incorporated to minimise any possible tingling or discomfort. 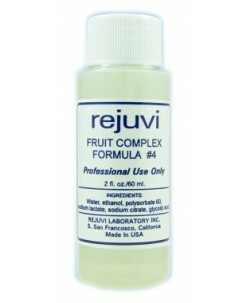 Yo..
Fruit Acid Complex # 2- 35 % Usage: As with all treatments , AHA acids , but only after the second or third stage of treatment . For the face, neck , arms, hands and nodules on the elbows . 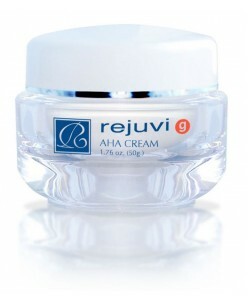 Impact: encourages new cells , fibers, elastin and collagen renewal stimulates the blood circulation, strengthens the skin and in..
Fruit Acid Complex # 3 - 45 % Usage: As with all treatments , AHA acids , but only after the second or third stage of treatment . For the face, neck , arms, hands and nodules on the elbows . 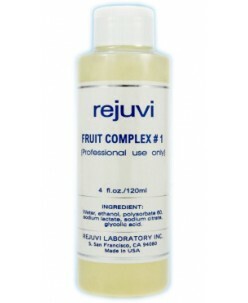 Impact: encourages new cells , fibers, elastin and collagen renewal stimulates the blood circulation, strengthens the skin ..
Fruit Acid Complex # 1 - 55 % Usage: As with all treatments , AHA acids , but only after the second or third stage of treatment . For the face, neck , arms, hands and nodules on the elbows . Impact: encourages new cells , fibers, elastin and collagen renewal stimulates the blood circulation, strengthens the skin and i..
Fruit Acid Complex # 1 - 25 % Usage: As with all treatments , AHA acids , but only after the second or third stage of treatment . For the face, neck , arms, hands and nodules on the elbows . 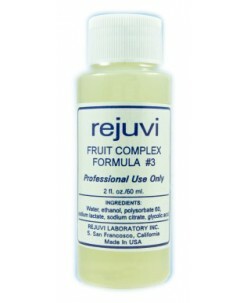 Impact: encourages new cells , fibers, elastin and collagen renewal stimulates the blood circulation, strengthens the skin and i..
Fruit Acid Complex # 4 - 55 % Usage: As with all treatments , AHA acids , but only after the second or third stage of treatment . For the face, neck , arms, hands and nodules on the elbows . Impact: encourages new cells , fibers, elastin and collagen renewal stimulates the blood circulation, strengthens the skin ..